sterling silver jewellery york fashion jewellery Glamorous Fashion Jewellery: Silver Tone Large Circle Outline Studs with Exquisite Crystal Detail (2.5cm x 2.5cm) (YK224) Sterling silver jewellery range of Fashion and Danon jewellery. Circle stud earrings with three rows of delicate crystal detailing. 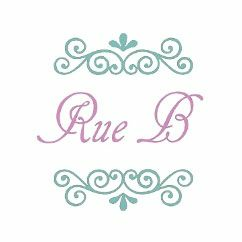 If you want unique modern design at affordable prices, look no further than Fashion Jewellery at Rue B! Stunning crystal earrings, perfect for adding a touch of sparkle to your outfit this Winter! These delicate stud earrings are made up of a shiny silver circle outline. Inside the circle outline, at the bottom, lies three rows of exquisite and very sparkly crystals. The geometric and crystal elements of these earrings pair beautifully, for a classic and elegant twist on a more modern and minimalist design. Stud fastening, with the post at the top of the circle.